A number of communities around the state of Kansas have Bicycle Advisory Committees (also called, variously, "bicycle advisory boards", "bicycle friendly committees", and other terms), which help the cities address bicycling-related issues in their communities, plan bicycling facilities in future developments and reconstructions, and coordinate health and wellness activities within the community. The MARC Bicycle-Pedestrian Advisory Committee "reviews the bicycle and pedestrian element of the Long-Range Transportation Plan. It helps to promote regional bicycle guidelines for the planning, design and construction of facilities. It also suggests ways for MARC to promote both development of bicycle and pedestrian facilities as well as seeking to increase bicycle and pedestrian use in the region." (MARC is the Mid-America Regional Council, which is the metropolitan planning organization that covers the Kansas City metro, including Johnson, Leavenworth, Miami, and Wyandotte counties in Kansas.) The committee meets on the second Wednesday of each odd-numbered month, and all meetings are open to the public. The Lawrence-Douglas County Bicycle Advisory Committee "provides a communication linkage between the City Commission and the community on bicycling related issues in Lawrence, Kansas and Douglas County. The Committee works to improve bicycle safety and awareness through education of motorists and non-motorists." The committee is composed of 9 members (4 from Lawrence, 1 from Eudora, 1 from Baldwin City, 1 from Lecompton, and 2 from the county at large), and meets monthly. The Leawood Bicycle Friendly Committee "works to make Leawood, Kansas a bicycle-friendly community, by providing education to cyclists and motorists, improving infrastructure, encouraging residents to bicycle for work, school, and recreation, and promoting the existing bicycling facilities and multi-use trails in the community." The committee meets periodically at city hall, and the public is welcome to attend and get involved." The Manhattan Bicycle Advisory Committee consists of nine persons appointed by the mayor with the advice and consent of the City Commission, and focuses on improving bicycling and transportation infrastructure conditions within the city. Meetings are held the third Tuesday of each month. 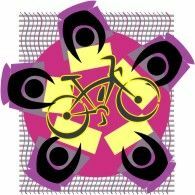 The Newton/North Newton Bicycle Advisory Committee "works to promote bicycling as an environmentally-friendly alternative transportation to work, school, parks, public buildings, downtown and other destinations". There is also a group called the ReNewton Bicycling Initiative, whose "goals are to promote and encourage cycling in our community for transportation, heath, and recreation. To that end, we are working on rider, driver, and youth education; facilities, such as bike racks, bike lanes, and bike routes; and opportunities." The Shawnee Bicycle Advisory Committee "consists of five members, all of whom are active bicyclists, with at least four Shawnee residents. The committee monitors the community's bicycle friendly status, and makes recommendations to the Parks and Recreation Advisory Board. The board meets four times per year. Members serve a two year term." The committee meets quarterly. The Topeka Bikeways Advisory Committee "has two main goals: enacting the city's bikeways master plan and, ultimately, gaining Bicycle Friendly Community status from the League of American Bicyclists. The advisory committee meets twice a month." The committee is not listed on the city's web site, but you can contact topeka.org for more information. The Wichita Bicycle and Pedestrian Advisory Board was created by the Wichita City Council in February 2013.